I am having a hard time dealing with the CR bakery! I emailed them a month ago asking for a cake for our 10th and they emailed me back and asked me to call. I call but never can get someone, so I left a message. A guy named George called me back but wasn't super helpful, or what I have experienced in the past. He said he had to ask about specific flavors, size and pricing with the chefs? I just asked for a chocolate mousse with vanilla cake and asked for the mini vs 6" with fondant so I thought it was weird he couldn't answer that. He called back but I missed the call. So I left another message last week. Still no call back? Should I call again? Asked to speak to someone else? Any advice? thank you! Call the number for the Contemporary and ask to be transferred to Private Dining. Then explain the issue to the that CM and have them write down your entire order. 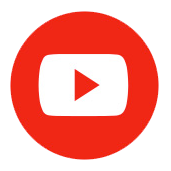 There is no standard mini cake, so if you want a specific style, be sure to send images to that email and have the CM write down that you sent images. Then call Private Dining back 2 or 3 days before you get there to reconfirm everything. Are the mini cakes all 15 too? I couldn't find the prices. Prices for mini cakes are listed in Post #2 under each resort/park's entry. Mini cakes start at around $35, but the price depends on how elaborate you want the decorations. I was going to call private dining at CR as lurkyloo suggested because George didn't email me back after a week. I tried emailing him again the day I was going to call but he replied that day (couldn't get ahold of anyone at private dining) and confirmed all the details with him. Gonna call three days before to confirm the cake order again. Fingers crossed. Try emailing him back AND call private dining? pixie08 and lurkyloo like this. 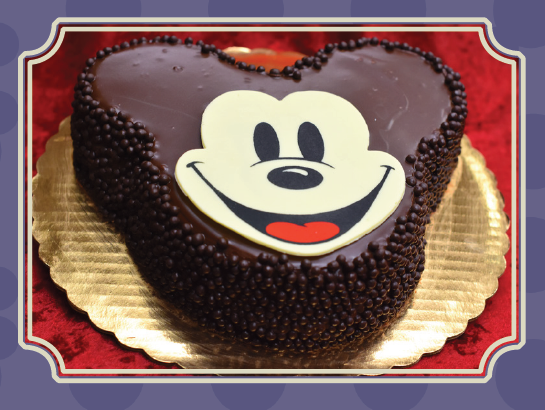 Today Disney started offering these Mickey Mouse Celebration Cakes for delivery to all table-service restaurants and Deluxe resorts with Private Dining, so here are all the details. 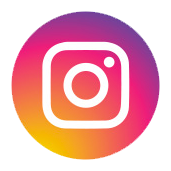 I'll add them to the first posts of this thread too. Are these replacing fancy custom cakes? No. You can still order one of those by calling the appropriate number listed in Post #2. Any Disney-owned and -operated table-service restaurant or any Deluxe Resort with Private Dining. This means that in Epcot the cakes are only available in the Canada, UK, America, Germany and Norway pavilions, plus Future World. It also means you can't get one at Be Our Guest Restaurant at lunchtime because there is no table service at that time. How many people do they feed? No. The cakes contain gluten and milk, and they are produced in a facility that contains peanuts and tree nuts. Disney refers most allergy-friendly cake requests to Erin McKenna's Bakery at Downtown Disney. See Post # 1 for more information. Can I get a message written on them? 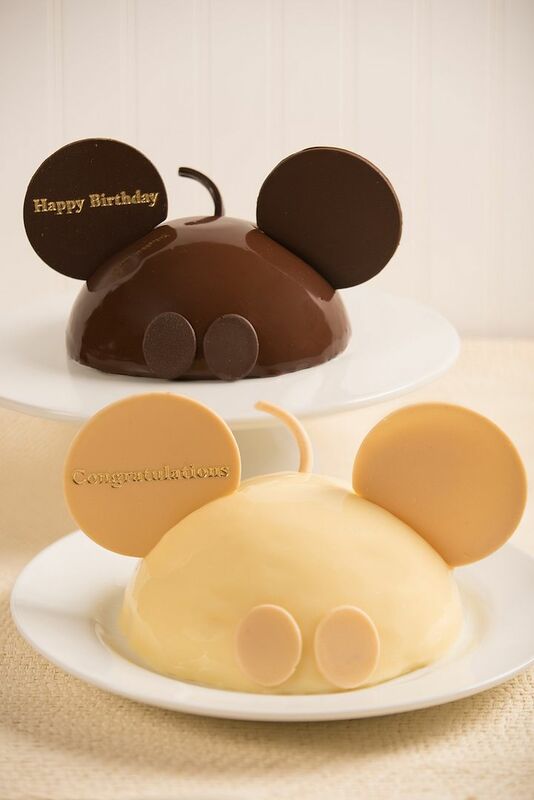 Only “Happy Birthday” or “Congratulations” are available; they write it on the chocolate ears. Call 1-407-WDW-DINE or inquire in person at a Walt Disney World Resort concierge desk or restaurant podium. Not if you have a confirmed dining reservation. kimmy85, granmarquee, BigMommaMouse and 5 others like this. 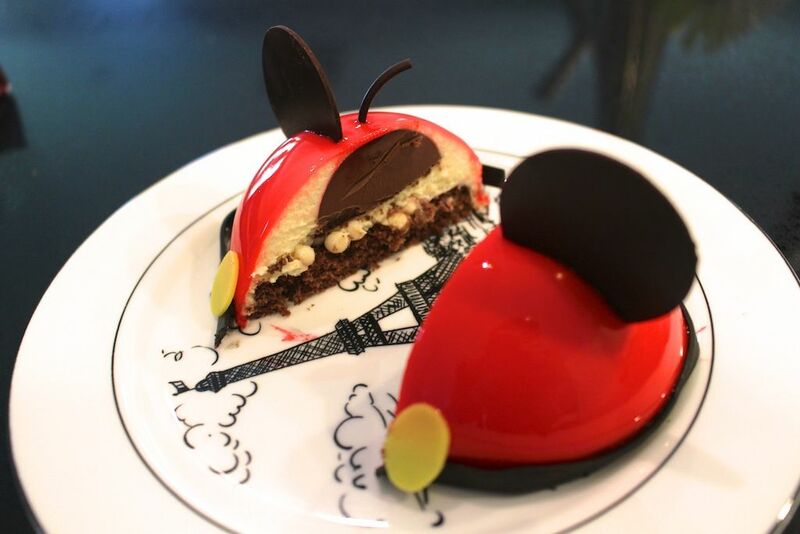 Today Disney started offering these Mickey Mouse Celebration Cakes from Amorette's for delivery to all table-service restaurants and Deluxe resorts with Private Dining, so here are all the details. 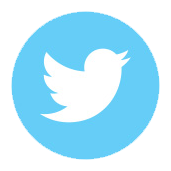 I'll add them to the first posts of this thread too. Hope someone tries so it soon and report back so we know how it will look on inside and taste. Especially if it's similar or different from the tastes of the regular one! Those new cakes look so cute! Might have to order one for our next trip - we'll be arriving on my son's birthday. Which reminds me of a question I've been meaning to ask (way in advance, but I like to be ahead). Do you usually recommend ordering more than 2 or so weeks in advance if it's a holiday weekend? Not a big holiday (Mother's Day), but I know some people order cakes for just about anything, haha. I usually call about 3 weeks in advance no matter what, just because it can take a while to hear back. Both "happy birthday" signs were chocolate, as was the surrounding piece on the honey cake. Yum! Also, we got cards with both desserts signed by Pooh & friends at CP and signed by Belle at BOG. Major hits! Can I ask how you ordered these? Do you pre order or do it just tell them when you are there? Custom celebration cakes are no longer available for delivery inside Magic Kingdom. 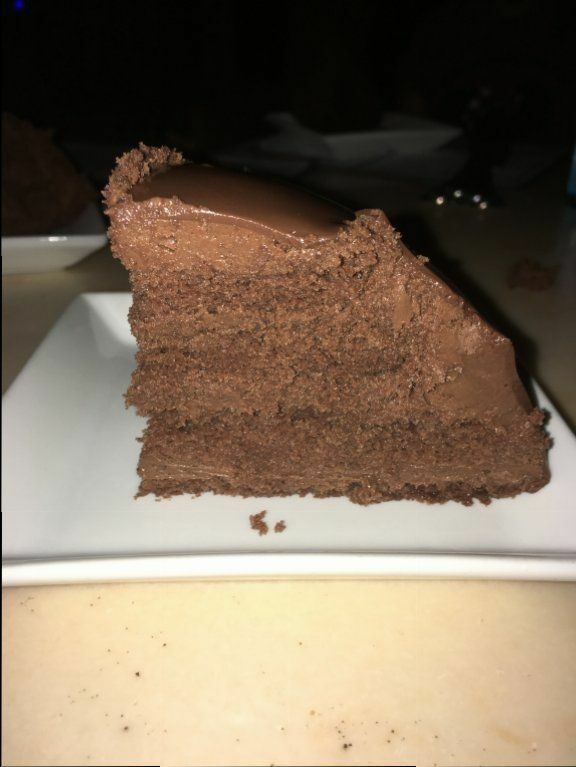 Instead, your options are the standard podium cake, a large Mickey Mouse cake or one of the following specialty desserts unique to each table-service location. Three mini cupcakes: a Grey Stuff cupcake, a Triple Chocolate cupcake, and a Strawberry cupcake. Presented with a chocolate rose filled with the Grey Stuff filling and a "Happy Birthday," "Happy Anniversary," or "Congratulations" chocolate piece. Chocolate cake with chocolate mousse, covered with a chocolate ganache. 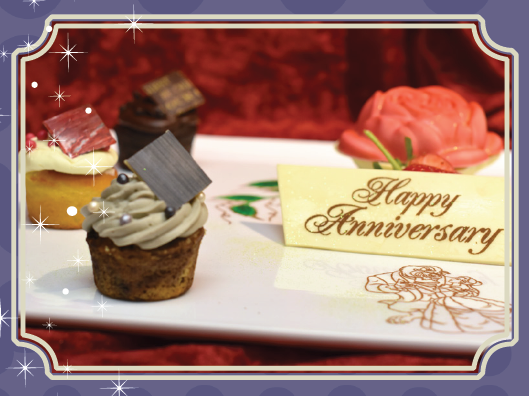 Presented with a strawberry and your choice of a dark chocolate slipper, a white chocolate slipper, or a white chocolate crown, all filled with a chocolate mousse and decorated with a "Happy Birthday," "Happy Anniversary," or "Congratulations" chocolate piece. 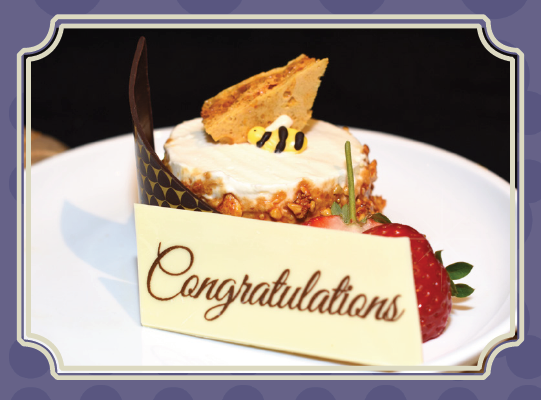 Vanilla cake with honey mousse, topped with a honey crunch and a honey comb-accented chocolate piece. Presented with a strawberry and a "Happy Birthday," "Happy Anniversary," or "Congratulations" chocolate piece. Chocolate cake with caramel ganache and chocolate crispy pearls. 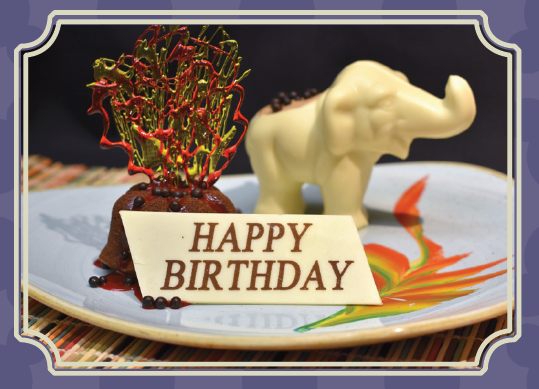 Presented with a white chocolate elephant filled with a caramel mousse and a "Happy Birthday," "Happy Anniversary," or "Congratulations" chocolate piece. Vanilla cake with vanilla cream filling, covered in a chocolate ganache and chocolate crispy pearls. 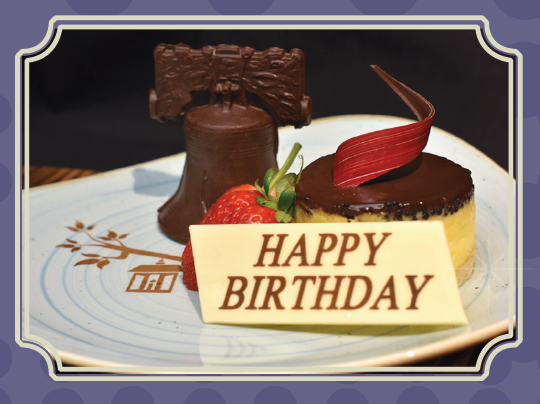 Presented with a strawberry, a chocolate Liberty Bell, and a "Happy Birthday," "Happy Anniversary," or "Congratulations" chocolate piece. Kahlua Espresso-soaked ladyfingers with whipped mascarpone cheese. Presented with a strawberry, Lady and the Tramp chocolate accents and a "Happy Birthday," "Happy Anniversary," or "Congratulations" chocolate piece. Chocolate cake with mocha buttercream icing or a vanilla cake with vanilla buttercream icing, covered in dark chocolate or pink pearls. Presented with a chocolate Castle piece and a "Happy Birthday," "Happy Anniversary," or "Congratulations" chocolate piece. 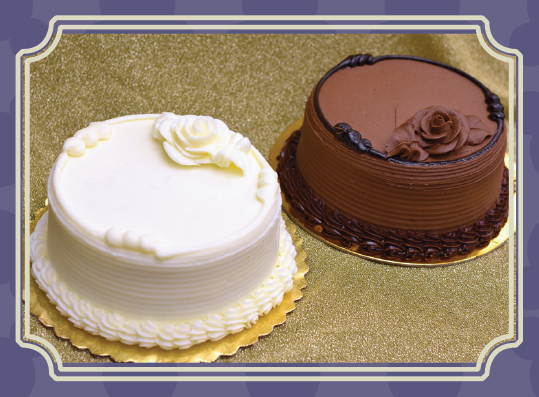 6-inch round cake available in either all-vanilla or all-chocolate; can be decorated with a chocolate medallion. Serves up to 6 people and costs $23 plus tax. Serves 10-12. Chocolate cake with a dark chocolate ganache on top.Costs $54 plus tax and can be decorated with a “Happy Birthday,” “Happy Anniversary” or “Congratulations” chocolate piece. Disney_Alli and TinkLoverSam like this. Received a little pixie dust ! Received a call last night from Pat out of the blue. They are able to do the chocolate cake with cookies and cream filling !!! Happy dance !!! Was able to talk with Pat yesterday and order for our upcoming trip. Tried to do chocolate cake with cookie and cream filling but she said they only did that for wedding cakes so I went with yellow cake and white chocolate mousse with strawberries, white butter cream frosting, topped with blue fondant. I was quoted $72. As this is a girl's trip, I asked if they could do fireworks and a 2d castle with a sign that said "Best Girl's Trip Ever" (those words are my great niece's favorite words !! ). Praying it all works out and there won't be a snag !! Will post pics when it happens !!! thaggie1, moodyeeyore, lurkyloo and 6 others like this. Has anyone ordered a fancy fondant or decorated cake from Animal Kingdom Lodge lately? We are staying there in a little over a week and I'm thinking about getting a cake delivered to the room. Normally we order from the Contemporary or Grand Floridian Bakery but transporting back to the room after isn't as easy. Would love to have it delivered to the room so we can munch on it all week but I've only ever seen a couple of cakes from that bakery. Any help would be great! Oh and I'm hoping to have it decorated for a Graduate! Just adding that it was thanks to this great thread that I was able to figure out how to pre-order and from whom (http://disneytravelbabble.com/how-to/order-cake/magic-kingdom-specialty-desserts/). I ordered about a month out and had no problems with finalizing everything via email. The people taking orders were awfully nice. I double-checked with our wait staff (secretively, of course) who already had the cake order associated with our reservation. Easy peasy. kimmy85 and lurkyloo like this. I ordered a mini cake in advance from the CR to be served at California Grill. $35 seemed rather pricey for such a small cake, but it was quite good. marchingstar, Amanda999, Haley Marie and 7 others like this. 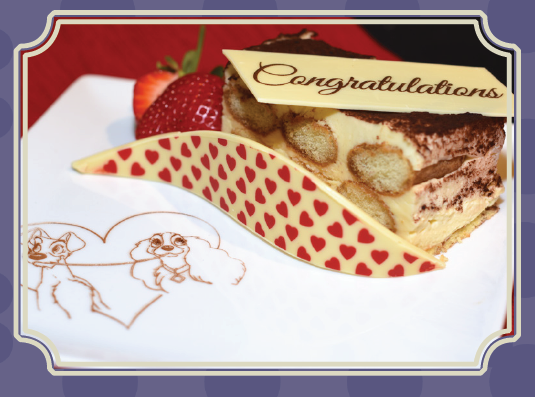 Wondering if anyone has ordered, or know if it is possible to order a custom cake to the Grand Floridian Tea? We are doing the tea for my mother’s birthday (as our lunch) and I’m thinking it would be a great surprise for her. So right after i posted here I got a call back lol! I am doing a mini castle cake I asked for vanilla cake and dark chocolate mousse and they were able to accommodate. With the castle it is $50. I am having it delivered to California Grill on our anniversary. I hope it all works out! MiracleCream and lurkyloo like this. I haven't ordered a cake in WDW in a few years and I know there have been changes. Please bear with me! 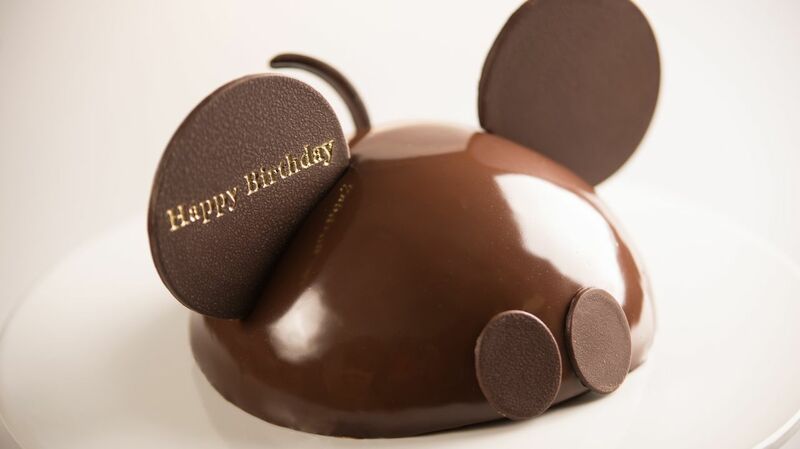 I want to order a small (6") cake for delivery to Chef Mickeys on our arrival night. I am thinking something something simple with the Fab 5 or just Mikey heads. I need to call or email the number listed for the CR in the first post correct? I also want to order an 8" fondant cake for delivery to Jiko's. Thsi will be for my son's birthday. Not sure the exact design I'm looking for, my son loves dinosaurs and dragons more than anything. Too order this cake do I call the cake hotline or the phone number from Disney babble? So i ordered our cake on 5/8 from AKL. sent the pics, never heard back. I sent a follow up message on 5/15 and she said she would get me my total. Today is 5/23 and still no total. Cake delivery is for Monday. Should I hold out, or follow up again? Yep! Call or email to get the ball rolling at the Contemporary. Call to get started at Animal Kingdom Lodge. All the contact info is listed next to the resort names in Post #2 of this thread. Follow up, for sure! I'd call the main number for AKL, ask to be transferred to Private Dining, and then tell them what the situation is. 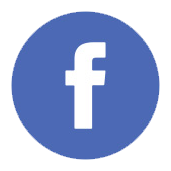 Just popping in to offer our experience. We just had our wedding cake tasting at Erin McKenna's for an allergy-friendly wedding cake. I was really concerned that the cakes would be dry and noticeably different because I'm really picky about gluten free baked goods. I was pleasantly surprised. We tried brownie, red velvet, pumpkin, carrot, and cinnamon/french toastie. They were all moist and yummy. The pumpkin and carrot were the least sweet, almost more like a quick bread. The only one that was slightly dry was the cinnamon sugar one, but even it was quite good. Frostings were pretty good as well, though I know they melt in the heat fairly quickly. We think we're going to go with red velvet and vanilla frosting, but some of the other combinations were also great, like brownie with mint, or with mocha, or even with the cinnamon frosting. Yum!! mexi, lurkyloo and BigMommaMouse like this. We have had several fancy fondant cakes at AKL, and have always loved them. The pictures are posted either earlier in this thread or for Cake Chatter. I'll dig out the pictures when I get home and send them to you.